We love Chick fil a here at Crystal & Co. I have always been a #1 value sized with a Dr. Pepper kind of gal. Then, I got addicted to their Spicy Southwest Salad. Then, I soon was hooked on their parfait. I crave it. 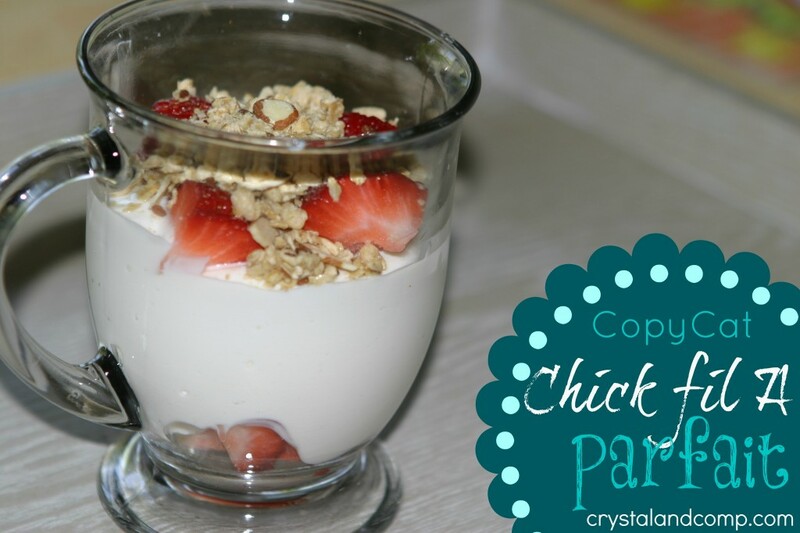 I realized this was an easy breakfast item, snack or after dinner dessert that we can easy make at home and my kids love it too! This is super fun and something they can help you assemble! Below is everything you need to make one parfait. Make as many as you want. You’ll want a clear pretty cup too if you have it just to make things fun. The kids like to see the layers. 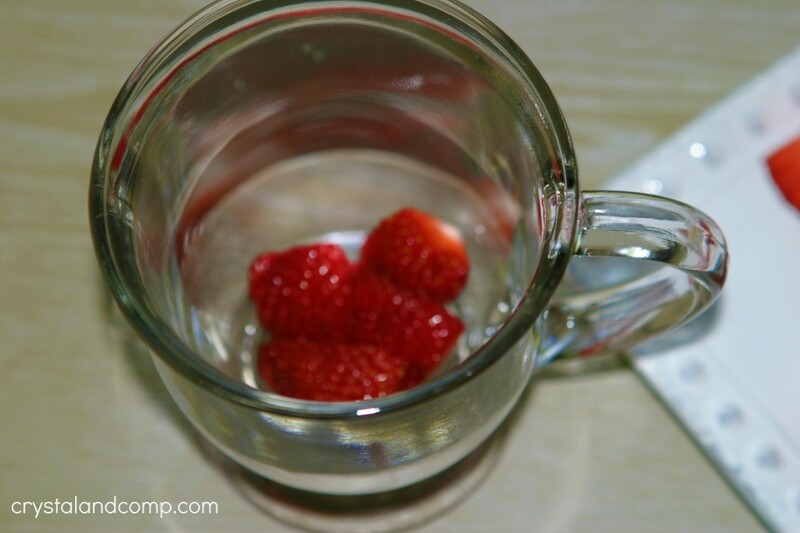 Take the quarter of one strawberry and place them in the bottom of the cup. Let’s pretend this picture is focusing on the strawberries and not the cup. 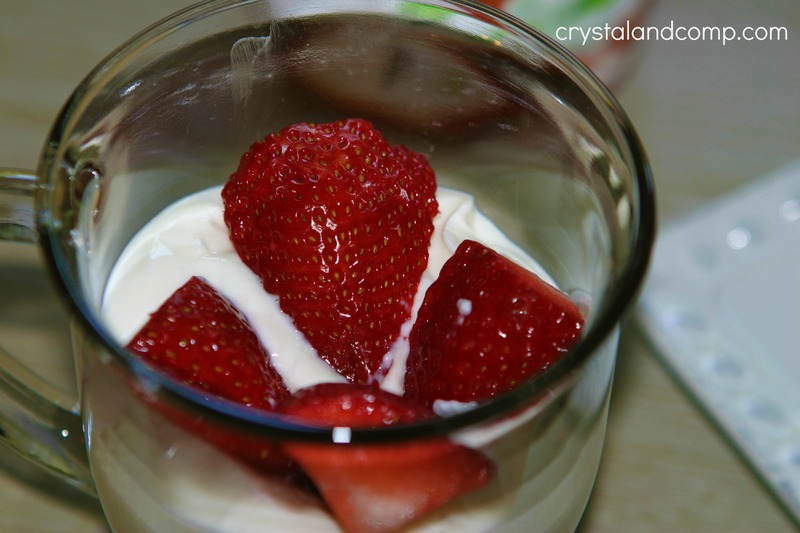 Right on top of the strawberry quarters, scoop in 1/2 a cup to 3/4 of a cup of vanilla yogurt. 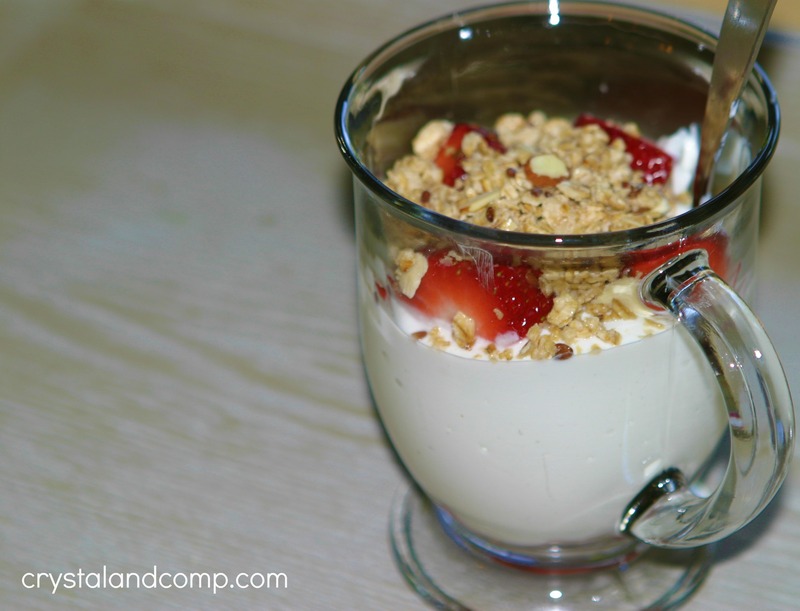 Top the yogurt with the remaining quartered strawberry. Arrange them pretty if you can. Chick fil a does. Top the strawberries with a handful of your favorite granola. This really is customizable. I love vanilla flavored granola. Chick fil a uses a harvest variety on their parfait which I love too. My kids cannot get enough of these. What is your favorite item on their menu? I can’t believe you posted this after my Chick Fil A parfait loving daughter came and left last weekend. This would have been such a surprise and treat for her. I will remember it for her next visit. Shoot. I’ll make it just for myself. My favorite item (of many )on their menu is that chicken tortilla soup they came out with this winter. I’ve tried to copycat it, but so far mine just falls wayyyyyy short. Found you on Foodie Friday. Do they make a parfait with crushed oreos on top? Because I’ve seen my teen daughter come out of CFA with something like that. She calls it a parfait, claims it’s breakfast food, but I don’t know…. 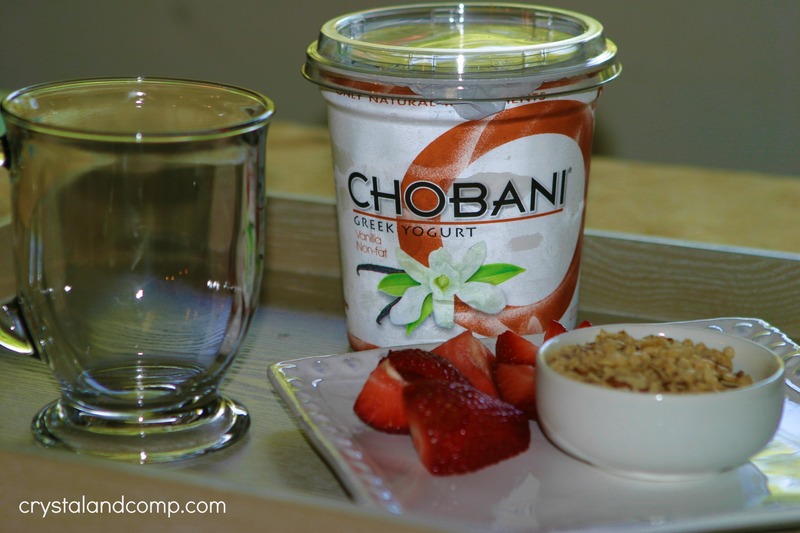 Your parfait looks simple, affordable, and delicious! I’m going to point her to these instructions for an at-home version. But she thinks things taste better when someone else makes it. And I get that. 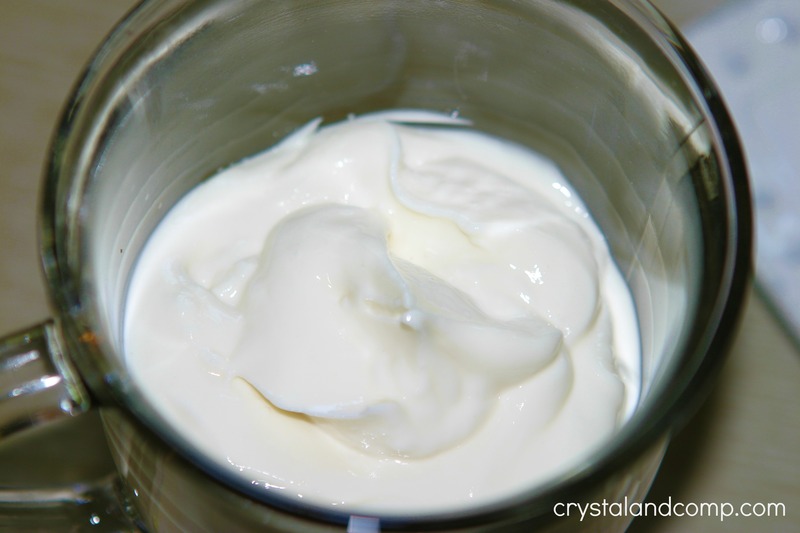 I love the yogurt from chick fil a and mcdonalds, so does anyone have any suggestions in regards to yogurt type? Sonia- I would go with a vanilla flavor that has no fruit in it. What brand do you typically buy? Sonia….I am also hooked 🙂 on the Chickfila yogurt. Did you ever find another brand of yogurt vanilla that wasn’t tart. That is my problem…the after taste. The Chickfila does have that taste. I did find some granola this past weekend. It was by Weight Watcher…it’s good…I don’t do Weight Watcher…just saw it and like granola. Been eating it for meals..